The French artist Daniel Rebour is perhaps the best-known and certainly the most prolific bicycle artist/illustrator of all time. His works appeared in advertisements, magazines, product catalogs, and wherever else one could find detailed component and bicycle drawings. 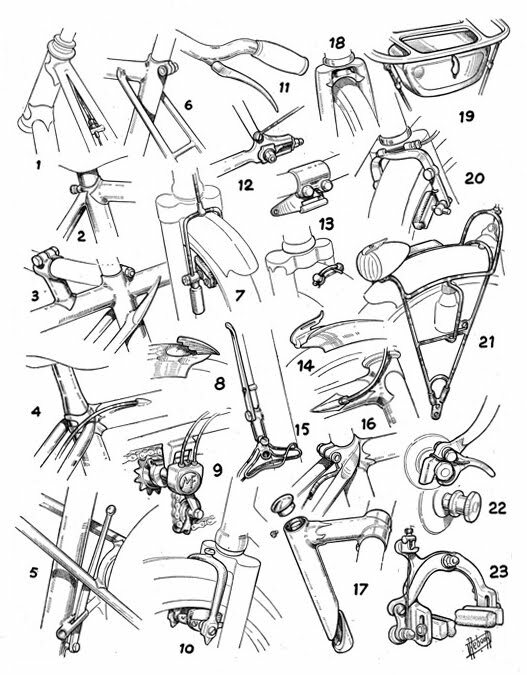 If you’re a fan of vintage bicycles and components, it is almost certain that you’ve seen the masterful technical illustrations of Daniel Rebour. 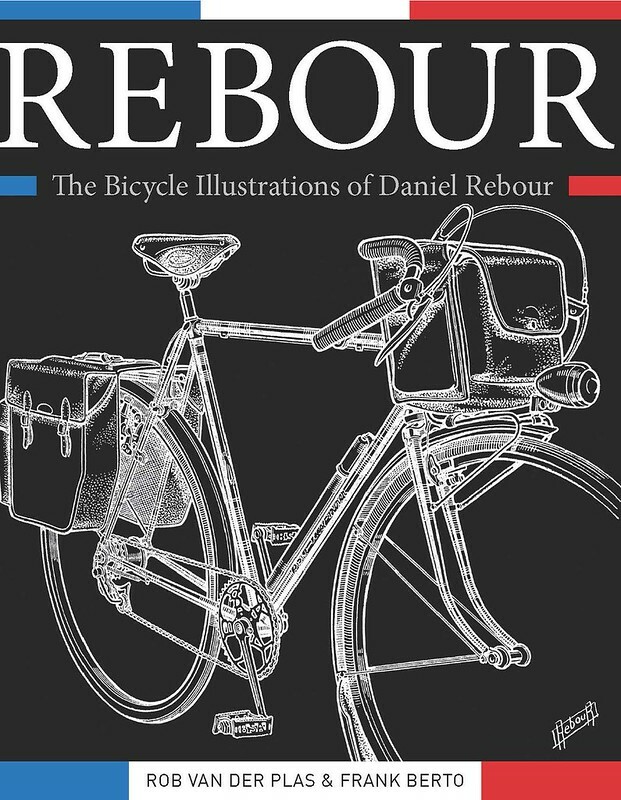 In Rebour: The Bicycle Illustrations of Daniel Rebour (San Francisco: Cycle Publishing/Van Der Plas Publications, 2013), authors Rob Van Der Plas and Frank Berto, both mechanical engineers, expose the life and work of Rebour. You may remember Frank Berto from our original book review “Books for Bicyclists”, as he was the author of The Dancing Chain: History and Development of the Derailleur Bicycle. Many of Rebour’s illustrations were used in the publication of The Dancing Chain. Daniel Rebour got his start when he was hired as a test rider and illustrator for the motorcycle publication Moto-Revue. He went on to do technical writing for them as well. His detailed technical drawings next appeared in Le Cycle, which expanded its scope to cover mopeds, motorcycles, and scooters as well as bicycles. As I mentioned earlier, Rebour’s illustrations were used in the print catalogs and advertisements for some of the biggest French cycling brands, such as TA, Lyotard, Simplex, and Maxi-Car. Rebour’s artwork is exquisite — detailed pen-and-ink drawings of the most subtle details of bicycles and their components. Perhaps my personal favorites are of the cutaway drawings, showing the inner workings of such complex assemblies as bottom brackets and headsets. Authors Van Der Plas and Berto provide a brief introduction of Rebour’s work and life, and then the rest of the book is devoted to the illustrations themselves. Brief commentary appears with some the reproduced illustrations. The book is divided into the major components, from derailleurs, to lighting, to suspension systems and tools. It’s pretty clear that Rebour was incredibly prolific with illustrating all aspects of the bicycles and other machines he studied. There’s a lot to enjoy here; the illustrations are wonderfully reproduced, and the glimpses into the artist’s techniques are a joy to behold. This book is ideal for anyone who appreciates vintage bicycles and components, or those who study illustration and technical drawings. The book retails for around $30 from a variety of online book sellers, and makes a fine gift for the vintage enthusiast in your life.